Two New Super Heroes In Town! Listening Club Series Three Box Set Binge Now Online! More Obscure Jewels Of The British Jazz Underground! Navigating A Sea Of Turmoil....! Remembering Barry Mitchell and Wing Music! Ghost Music - A 'Background Only' Download Album! You Too Can Play Billy! BBC Music Jazz Radio 'Greatest Ever Jazz Albums' Puts Billy At #36! In Depth All About Jazz Analysis! The War Of Jenkins’ Ear(phones)! The 'Financial Times' Lauds Billy! Hear Billy Live On BBC R4! 'Scratches' a Top Twenty Re-issue of the Year in Jazzwise...Billy Takes Over BBC R3.....Music Sn-Apps Emerge.....Vortex Jazz Club Celebrate Billy.......London Jazz News Features Billy....Humanism, Blues & Bereavement....'Violent Lewisham' Confuses Billy...One Step On from the Blues....Austerity Aural Art.....Jenkins Hanging Round Pub Toilets.....Billy with Ginger Baker CD emerges.. ..and much more! Access the News Archive by spanking your mouse here! Buy the Billy Blues Bonanza Bundle! 2 x CD plus live in concert DVD only £19.99 (inc. p+p)! A collectable 3 CD series!! It's half term! Grandpa Billy has the grandkids! What better way to pass the day than to ask photographer Beowulf Mayfield to kindly make a short YouTube promo? Set to 'Fat People' from the 1982 'Sounds Like Bromley', click the icon to enjoy the 107 seconds result! The photographer, writer and web-pod-snapcast wonder Beowulf 'Wulfie' Mayfield continues his inspired analysis of Billy's music - both aurally and in images! 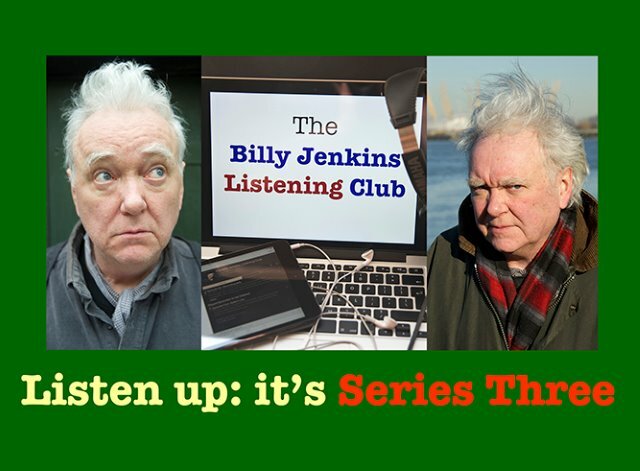 If you enjoy this Series Three Box Set Binge promotional video, tap yourself over to the Billy Jenkins Listening Club main page for not only a Series 3 binge, but all of Series 1 and 2 too! The final episode of Series 3 of The Billy Jenkins Listening Club snap-pod-webcast (Episode 6) is now online! And presenter Beowulf 'Wulfie' Mayfield turns judicious and hauls the unrepentant plucker into court. 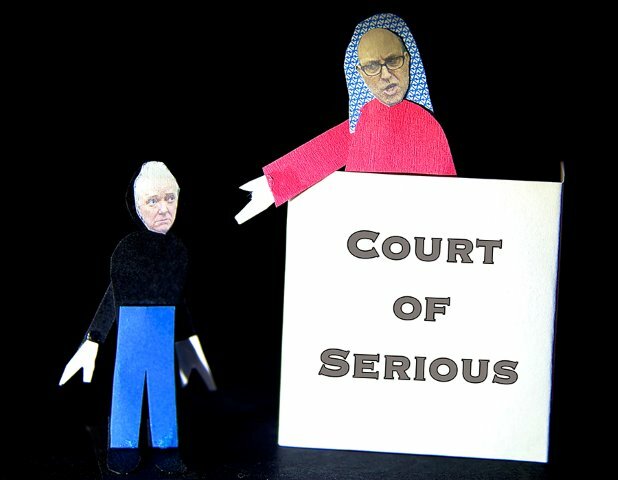 The charges - 'belittling, irreverence, contempt' and 'not being serious enough'! It's a fitting climax to the third series of what has been another half dozen audio autobiographical insights into Billy's work. Give yourself 10' 40" to hear the trail played out in authentic courtroom ambience here! And don't forget you can follow Beowulf's photographic, writing and creative adventures here! 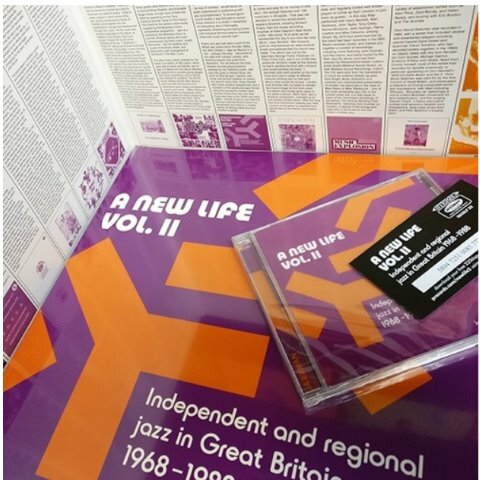 It's been three years since Jazzman Records's A New Life collection alerted jazz heads to the existence of an unknown world of British jazz private pressings and indie obscurities. Back for a second round, compilers Francis Gooding and Duncan Brooker have dug deep into the archives to assemble another ground-breaking collection of Brit jazz anomalies and outliers from the 1970s and 1980s. A New Life Vol. 2 picks up the story where volume one left off, searching out overlooked jazz gems from across the length and breadth of the British Isles. When the major labels and the record industry left jazz out in the cold, musicians and jazz enthusiasts took the initiative. Indie labels made space for established artists and experimental outsiders alike, while local groups and youth bands turned to private pressings to document their music and build their own scenes. 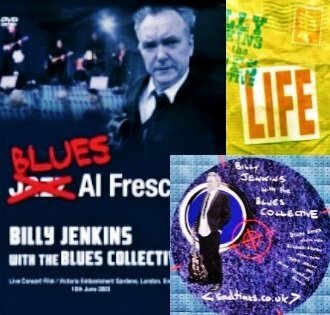 From London blues renegade Billy Jenkins's spiritual tribute to Pharoah Sanders and the swinging vocal artistry of Belfast-born Gerry McClelland, to the thunderous big band sound of Leicester's Music Explosion and the modal drama of the Don Rendell Five, A New Life Vol. 2 reveals another fascinating layer of forgotten Brit jazz history. 'A New Life Vol. 2' will be available late October (on 2xLP or CD) from Jazzman Records. Episode 5 of Series Three of the Billy Jenkins Listening Club snap-cast-web-cast-podcast is now online. And ever patient presenter Beowulf Mayfield teases words out of the guitarist relating to the skills producer Pete Bennett, violinist Dylan Bates and double bassist Steve Watts contributed to the making of the 2005 released CD album 'When the Crowds Have Gone'- described, at the time, by The Times music critic John Bungey as, 'his darkest record yet...'. Episode 4 of Series Three of the Billy Jenkins Listening Club snap-cast-web-cast-podcast is now online. 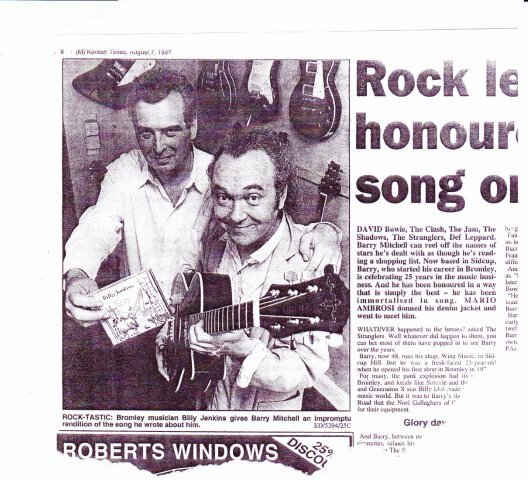 But that doesn't stop them partaking in a heartfelt tribute to the legendary owner of Wing Music, Barry Mitchell - celebrated on the eponymous track from the 1997 CD album, 'Still...Sounds Like Bromley'. Enjoy eight and a half minutes of foot tapping joy here! It certainly brought a smile, a roaring laugh (jumping off the 4x12s story) and it did bring a tear or 2! I worked at Wing for over 10 years and was very close to Barry. Hearing the way you told those stories really brought a lot of great memories flooding back. I still think of the boss pretty much every day and miss him terribly. I learned a hell of a lot from him in all sorts of respects. It’s pretty much all down to him that Planet Guitar exists, if I hadn’t have done my 'apprenticeship' at Wing I certainly wouldn’t be doing the job I love and have all of the knowledge I have! I loved the way you mention Barry (towards the end of the podcast) standing with a cup of tea in one hand, cigarette in the other and a big smile on his face. That resonated in a big way and I could actually see that image in my head. I had the biggest smile on my face when I heard that! Absolutely brilliant! I also had a chuckle at the cleaning guitars, making tea, etc for 50p a day. It sounded so similar to my early days at Wing in Sidcup when I was the fresh faced 15 year old Saturday boy. The duties were exactly the same, plus I was also in charge of the vacuum cleaner. From memory I think the daily rate was roughly the same as well! I really miss the stories that Barry told, so hearing your podcast was incredible. I’m positive he would have loved hearing it and probably would’ve been able to give you a few more to add in!" We at bj.com heartily recommend you visit Planet Guitar - to not only read more about Barry and Wing Music (there's a great photograph of young Jim in the store) - but also to check out the guitar tuition and instrument repair services Plant Guitar specialise in! 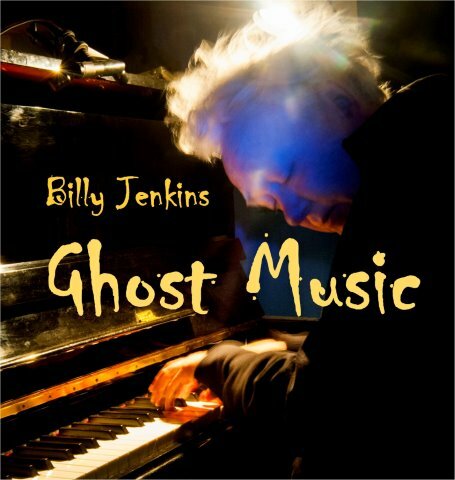 Friday 13th April 2018 sees (hears) the release of a brand new Billy Jenkins recording! 'Ghost Music' continues his research into the digital format, following on from the solo low strung guitar albums The Semi-detached Suburban Home (2014) and ‘Death, Ritual & Resonation’ (2015). The guitar albums were created with a focus on frequency and pitch. Now, the composer takes to the piano to address changes in the listening habits multi-use technologies have inflicted on our ever evolving modern world. It was created as a music for background listening, but it comes towards you, the ear drawing in, becoming mid- field music. And then, as one starts to appreciate the overtones, ambient noises and piano mechanics, it ends up as near- field music. Music that will haunt you. For after several plays, you will start imaging you’re hearing it in the background. 'Ghost Music' is available from most popular download and streaming sites and by purchasing, you'll be helping Billy to continue his life's work. iTunes also offers a free download 'cover'! Track listing and more information here! If you are a bandleader, a music teacher, run a jazz band workshop or lead a music ensemble – why not consider playing the music of Billy Jenkins!? BBC Music Jazz Radio 'Greatest Ever Jazz Albums' Puts Billy At #36!! As part of the 2016 EFG London Jazz Festival, the BBC and Jazz FM ran a five day pop up 24 hour digital radio station. Four programmes were dedicated to The 50 Greatest Jazz Albums, as nominated by the jazz community - including BBC and Jazz FM presenters, jazz musicians, critics and journalists. And, in amongst jazz legends like Benny Goodman, Sonny Rollins, Thelonious Monk, Duke Ellington, Miles Davis, Louis Armstrong and many other 'greats' - up popped Mr Jenkins and his 1998 release 'True Love Collection'! Listed as the 36th Best Ever Jazz Album!!! A fitting tribute to all the brilliant musicians that contributed to the 'True Love Collection'! 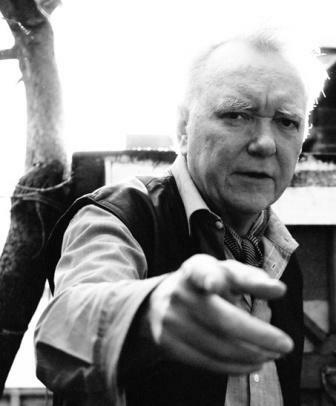 An excellent overview on Billy's recorded work is now online at allaboutjazz.com. Comprehensively penned by that most astute writer Roger Farbey, the 1,500 word article pretty much covers the guitarist's recorded output over the last thirty six years. Spank that link now to enjoy Mr Farbey's excellent writing! And then perhaps add a pithy comment! With 2016 being Billy's 60th year, we at billy.com had some fun sprucing up Ian Bolton's beautifully built 'digital cavern of curios and Billy-ness'! 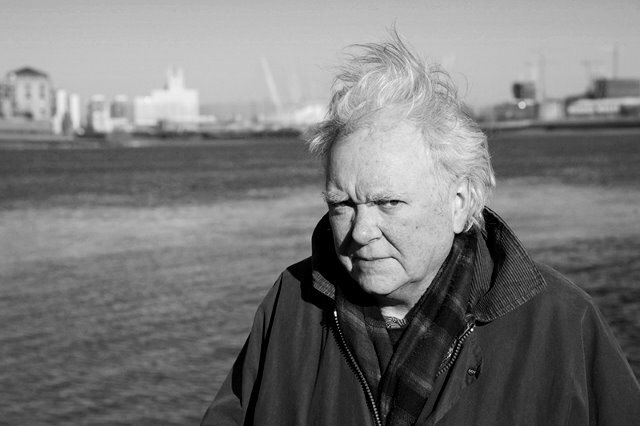 Music activist, promoter and writer Ian started the Webzine towards the end of the last century. Just what did the guitarist do to get chased out of Bilbao...? An 'old school' web page layout and deliberately designed as a 'get lost in' site, there is now a page looking at the sixteen years of Big Fights! A new recently released download album highlights the marginalisation of musicians in this technological age. The nuances composers and tunesmiths bring to their art is rendered impotent by digital sound which is more often these days relayed through narrow audio range earphones. Jenkins, over the last thirty years, has written his critically acclaimed gloriously idiosyncratic jazz and blues tinged music especially for the sound carrying medium. Vinyl - did you know that there is less bass frequency as the groove nears the centre of the disc? On his 1988 vinyl album ‘Motorway At Night’ he actually incorporated ‘surface noise at motorway exit’, by widening the groove during the disc mastering). Cassette - was the consumer ever aware that no tape machine ran at exactly the same speed? Jenkins underlined his introduction to the 1993 première at the National Sound Archives of his ‘Actual Reality - Music For Two Cassette Machines’ by stating that ‘no playback is ever the same’ – he had composed it building in a plus or minus 10% speed and pitch variation). CD – the wider than vinyl frequency range has meant that two many albums mastered for CD have been mastered at such a volume, the compression necessary to iron out highs and lows reduces the emotional resonance. Mr Jenkins’ many CD releases have minimal compression. Digital sound – it has been said that ‘analogue recording approximates perfection. Whereas digital recording perfects approximation’. Digital processing - arbitrarily ‘takes’ what it wants of the sound source. Music made wholly by machines works well in the digital domain. But when it comes to music where every single note comes from the heart, hand and ear of the player – chip technology just doesn’t ‘get it’. So, as social and economic lifestyles evolve at high speed, how does the musician reinstate their art? For Jenkins, it means bringing out an unreleased album he recorded nearly twenty years ago. 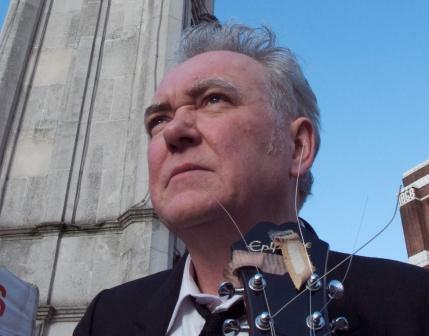 These days, after a lifetime on and off the road and in and out of the recording studio, leaving him with an intense dislike of travel and a sensitivity to noise, he now scratches a living creating and conducting humanist funerals (‘nothing’s changed really’, the guitarist notes dryly, ‘I stand up in front of folks and they all start crying..’). 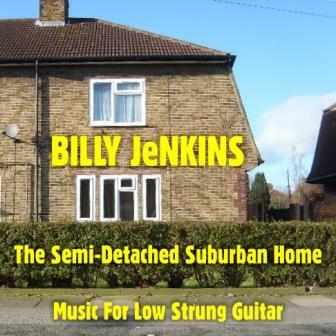 Uneasy with the sound of digital download, Jenkins feels that the album ‘The Semi-Detached Suburban Home – Music For Low Strung Guitar’ (VOTP Records) is actually one that works on tinny headphones. Captured in close microphone by long time Jenkins producer and engineer Tony Messenger, listening to it, one becomes the musician – every nuance can be heard - wire, wood, skin, nail and breath – all thrown into silence to create invisible audio images of everyday household objects and events. ‘We, the music creators, need to make folks understand, ‘states Jenkins, ‘that trendy coloured headphones are just fashion accessories. And by using them, especially when out in public, you are not only tempering the wonder of the world around you, but also consigning the wonder of music and musicians to history. And just like Neil Young and many other musicians have stated, I too agree that Apple, who led the digital revolution with their iPod, stand guilty of helping to destroy the spirituality of music. And with it, musicians’ livelihoods and purpose’. We have no shame in continuing to flag up an article about Mr Jenkins and his work which appeared in the prestigious Financial Times in November 2010. Written with depth, great sensitivity and understanding by fellow musician and writer Mike Hobart, it is very flattering that Billy was chosen as one of only two artists to be previewed for the London Jazz Festival - the other musician was jazz legend Herbie Hancock. You can enjoy Mr Hobart's writing here. So how come he's landed on the Youtube Planetbrowny page? Planetbrowny is 'one man’s quest for the ultimate waste of time…because wasting time is not the same thing as time wasted'. The site is dedicated to "how we all waste time or what we do when we’re not ‘working’." Created by a group of like minded middle-aged men, Planetbrowny aims to be a place where they can have everything they want under one roof. Spank that Planetbrowny.com link now! Sadly, Brownie left this planet all too suddenly in September 2012. The website remains as a loving tribute to the man. Mr Jenkins can be heard partaking in 'lively and diverse conversation on the flagship BBC R4 'Midweek' radio programme with Libby Purves and other guests writer and naturalist Sir John Lister Kaye, fashion designer Caroline Charles and former Masterchef winner Thomasina Miers. The live discussion, with Billy talking about his music and conducting Humanist funerals took place on Wednesday 24th February 2010 and can still be listened to and enjoyed by spanking this 'Midweek' link!